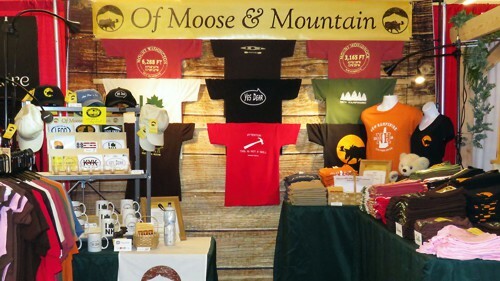 Of Moose & Mountain provides unique gift and souvenir products inspired by nature and New England. All designs are created in-house. Production is done in house or by partnering with other New Hampshire businesses whenever practical. T-shirts, hats, decals, postcards, and more. Look for us at select shows around the state and in a growing number of stores around the state. For the widest selection of OM&M gear, visit Hannah Grimes Marketplace dowtown Keene. Our products are also available at Hundelrut Studio in Plymouth, Route 101 Local Goods in Keene, Beeze Tees in Keene, The Inn at East Hill Farm in Troy, The Westmoreland Village Store in Westmoreland and others.